This op-ed is signed by MEP Barts Staes (Greens/EFA), MEP Lynn Boylan (GUE), MEP Guillaume Balas (S&D), MEP Tilly Metz (Greens/EFA), MEP Maria Heubuch (Greens/EFA), MEP Eleonora Evi (EFDD), MEP Thomas Waitz (Greens/EFA) and MEP Michèle Rivasi (Greens/EFA). 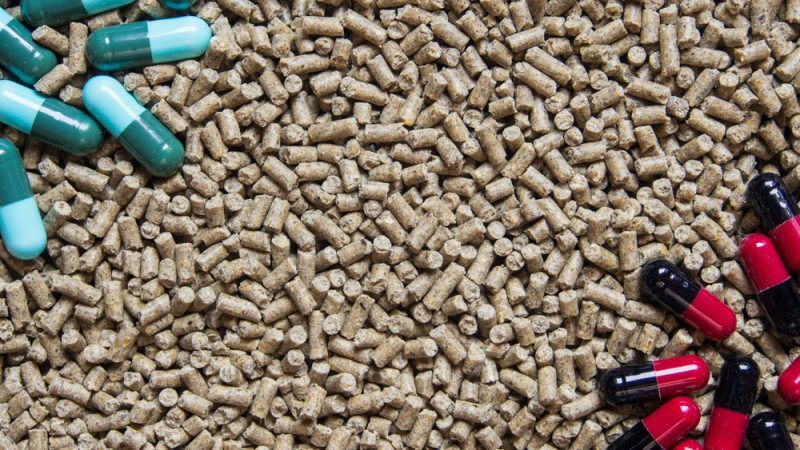 Under this new legislation, the preventive use of antibiotics in animal feed will be prohibited. This will also apply to imported foodstuffs. This policy should be implemented by 2022 and is one of many responses to rising antibiotic resistance, which is a major risk to human and animal health and threatens us all. By prohibiting the systematic preventative feeding of antibiotics to farmed animals and ending the use of last-resort antibiotics for animals, EU legislators want to ensure that these drugs can stay effective. However, laws and regulations will not be enough to win the – very costly – fight against antibiotic resistance. Last December, there were specific reports of massive contamination of animal feed with antimicrobial resistance genes dating back to 2014. NGOs published information that large quantities of unauthorised vitamin B2 (also called riboflavin (80%) containing viable, genetically modified bacteria had been introduced into the human food chain in Europe via feed additives from a Dutch animal-nutrition supplier imported from China. This genetically modified bacteria is not authorised to be used in food or feed in the EU and was genetically engineered to carry antimicrobial resistance genes. This poses risks to both animals and human health, as well as to the environment, according to the European Food Safety Authority (EFSA). The contamination is estimated to concern between 250,000 and 500,000 tons of animal feed in several EU countries (to date: the UK, France, Belgium, Germany, Poland, Italy and the Netherlands are concerned but the list may grow). As early as 2014, the German and British authorities warned other Member States via the Rapid Alert System for Food and Feed (RASFF) after discovering the presence of this unauthorised genetically modified bacteria in vitamin B2 feed additives. In October 2016, a joint study conducted by experts from the German Federal Office of Consumer Protection and Food Safety (BVL) and other EU authorities concluded that the affected feed additives should never have been sold. It should be noted that the Vitamin Authorisation Consortium (VITAC), regrouping the main stakeholders, applying for the authorisation of vitamins on the EU market, have refused to collaborate with the BVL and to provide them with relevant samples. At the time, no measures were taken to withdraw the vitamin B2 additive or the contaminated feed materials from the market. Rather than take immediate action, in August 2016 the European Commission asked EFSA to prepare a new scientific opinion on the safety of riboflavin (80%). This opinion, adopted on 7 March 2018, concluded that the additive posed a risk for the “target species, consumers, users and the environment”. However, it was not until 19 September that the European Commission issued an official ban on the illegal nutritional additive. As such, farmers are still allowed to continue using feeds that have already been produced with the additive – presumably hundreds of thousands of tonnes – until April 2019. As members of the European Parliament, we are appalled to learn that 47 months separated the first report of the contamination on the RASFF system and the EU Commission’s reaction, especially concerning contamination involving antimicrobial resistance. This is not the first time that the RASFF has failed to effectively fulfil its role (for example, the fypronil contamination of eggs last year). But in the vitamin B2 case, some of the member states actually used the system in an appropriate and timely manner. It is mainly the response to the RASFF alert that failed to ensure the protection of citizens and the environment. The presence of the bacteria in vitamin B2 additives was minimised in the application for authorisation: the contaminations reported in the RASFF system should have been enough reason to temporarily withdraw the authorisation, or at least to immediately ask EFSA to review its assessment. The Commission not only failed to protect EU citizens’ health but knowingly endangered their life. We sent the responsible Commissioner Vytenis Andriukaitis a letter with the information to express our disappointment and highlight measures which could be taken to ensure such a situation does not repeat itself. 1. The EU Commission should mandate an ad-hoc independent expert committee to analyse this case and make relevant proposals of measures to be timely taken and ensure this won’t happen again. Potential shortcomings in the EU Commission’s reaction should also be properly investigated. 2. EFSA’s first assessment was made on the basis of studies provided by VITAC in which the risks of a contamination by the GM bacteria were minimised. Later analysis of the initial samples showed the reality was different. If EFSA had also referred properly to the published, peer-reviewed studies as a basis of its assessment, the risk of such a shortcoming would have been minimised. This is a key point and we hope that this new scandal will lead the ongoing negotiations on the General Food Law refit in the direction of more transparency and better scientific value of assessments. 3. When it comes to food and feed products produced by a GM organism, the risks coming from potential contamination by the genetically modified organism should always be assessed. If the genetically modified organism is potentially dangerous for health or the environment, the product itself should not be authorised. 4. The refusal of VITAC to contribute to the BVL study is shocking, given the risks at stakes for citizens’ health. The provision of relevant samples by the applicants to the authorities needs to be mandatory, with means of enforcement, through the temporary withdrawal of the authorisation of the product concerned for instance. 5. The delay given to farmers to use the contaminated feed – 8 months – is not acceptable in a case involving health risks. The feed needs to be withdrawn quickly, under the responsibility of the feed producers. 6. Vitamin B2 is one of the examples of food and feed products which are now only available as produced by a GMO. This is extremely problematic, as it means that any health or environmental problem occurring with the GMO put the authorities in a difficult position where they have to weigh the undeniably heavy negative economic impact of withdrawing said product against citizens’ health and safety. It should be the role of the EU institutions to put measures in place so as to avoid this sort of situations, which endanger both our safety and our food security, for example, by supporting research and development of alternatives. The industry cannot be trusted blindly when it comes to health or the environment. Trust may be good, controls are better. This slew of recent cases shows that blindly trusting the industry’s integrity is illusionary. Rules and enforcement measures are necessary to ensure EU citizen’s health, and this is what we will continue defending within the European Parliament.